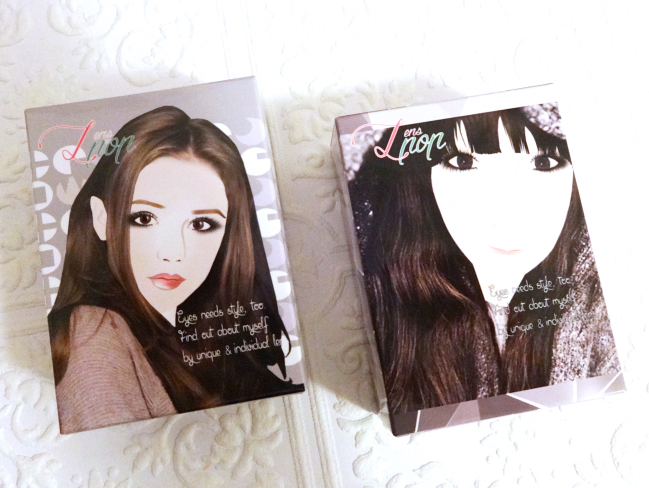 I have briefly talked about the KLENPOP site and their service in my Bunny Color Brown review. In a nutshell, KLENSPOP seems to be a reliable source for circle/color lens shopping. Their customer service was very straightforward and honest with me (they mentioned about possible shipping delay in the New York area due to the weather condition at that time, etc., although I received the package in time.). The overall price is better than reasonable, which is probably the biggest merit of shopping from a company based in Korea. The site is easy to navigate with a plenty of pictures and reviews. I love that lens diameters as well as graphic diameters are clearly indicated. It is really important! The name "Vi-Fine Gray" could be a bit misleading. Many gray color contacts are in bluish gray colors, but Vi-Fine Gray comes in a muted sheer charcoal gray. 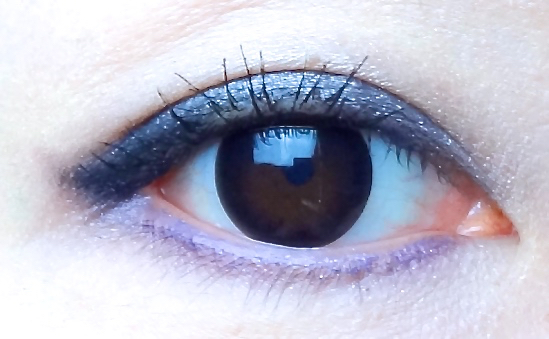 It almost functions like those "black circle lenses" but in a much softer way. Probably because the diameter is on the smaller side (which I love!) and the overall impression is soft yet defining, I have been reaching for this pair quite often. 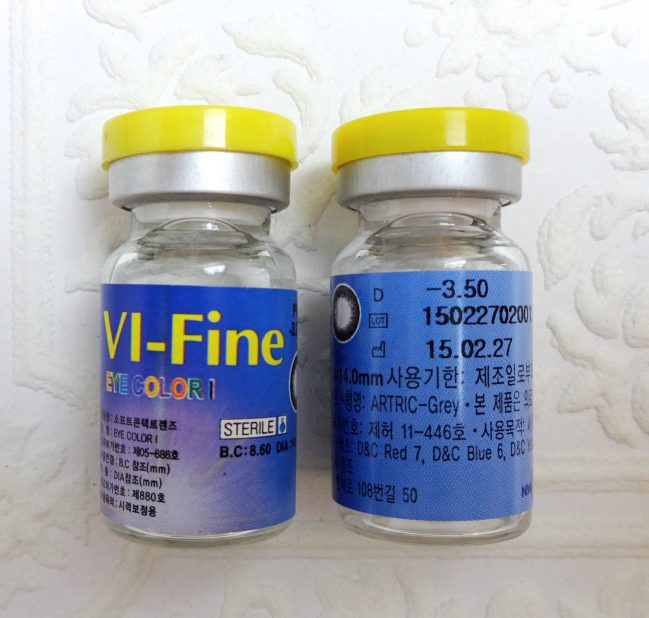 If you want defining black circle lenses but are not so crazy about the stark "alien/puppy" effect, definitely consider Vi-Fine Gray. People won't even notice you're wearing them. Oh, and they feel very comfortable throughout the day. 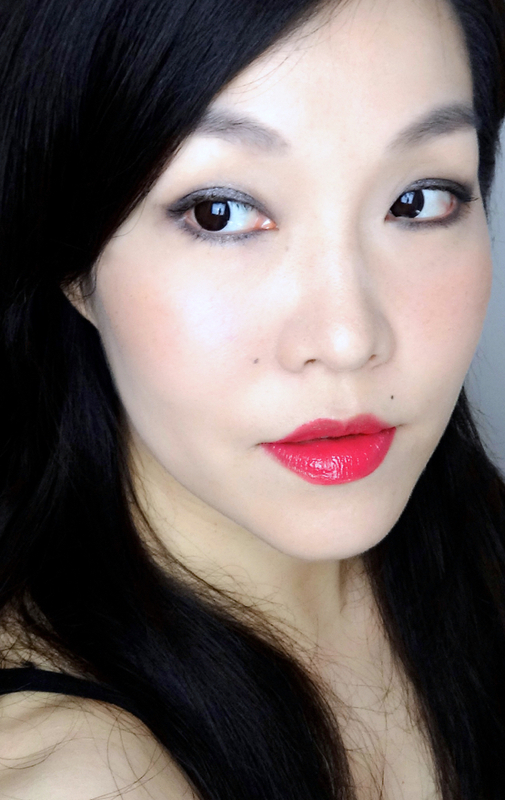 Here are two FOTDs I've recently came up with for lippie reviews. I am wearing Vi-Fine Gray in both of them. 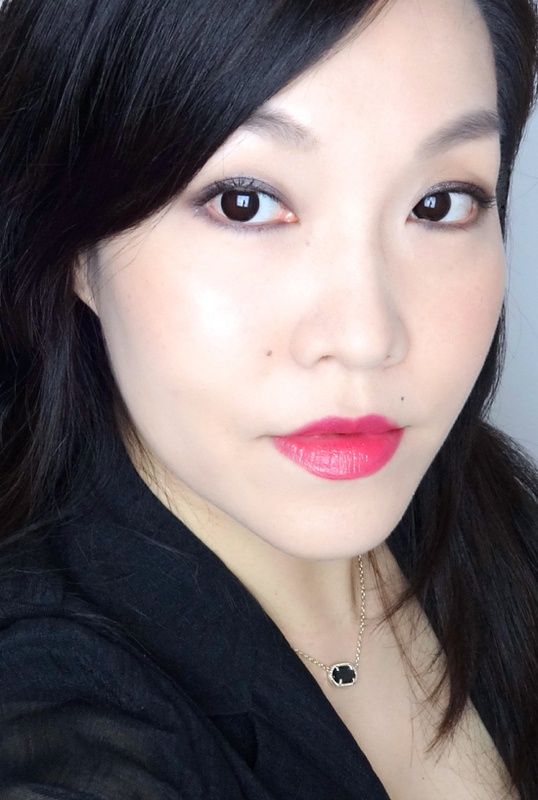 I used to feel gravitated towards purple, blue, and light grey contacts, but now I am more into subtle colors and designs. KLENSPOP Vi-Fine Gray is right up my alley, and I'd love to try some other softly defining pairs (maybe daily or weekly ones) in the future. Can you get these in a prescription? Or are they just for looks? 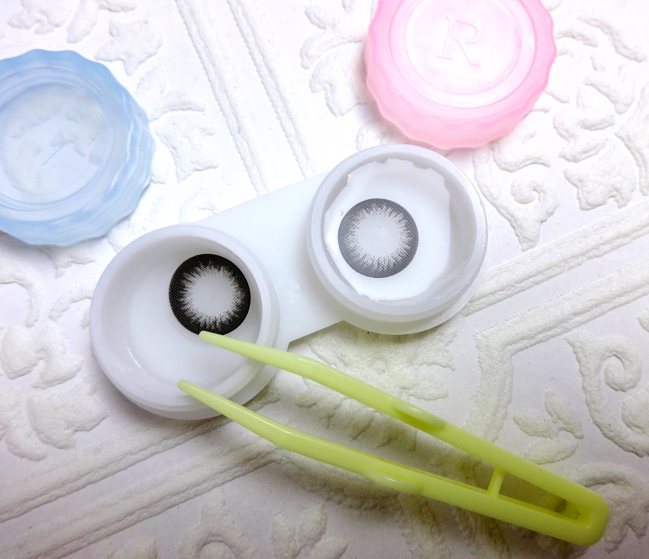 My daughter would love to try circle lenses, but would need a prescription pair. These look great on you! I think we have these here. Circles lenses are really popular here. Some are outrageously huge and manga like! Sometimes, I wonder what they look like without the lenses. LOL! I completely agree with what you're saying. I happen to like my own eyes and never have felt I have to transform them into, I don't know, alien? LOL.